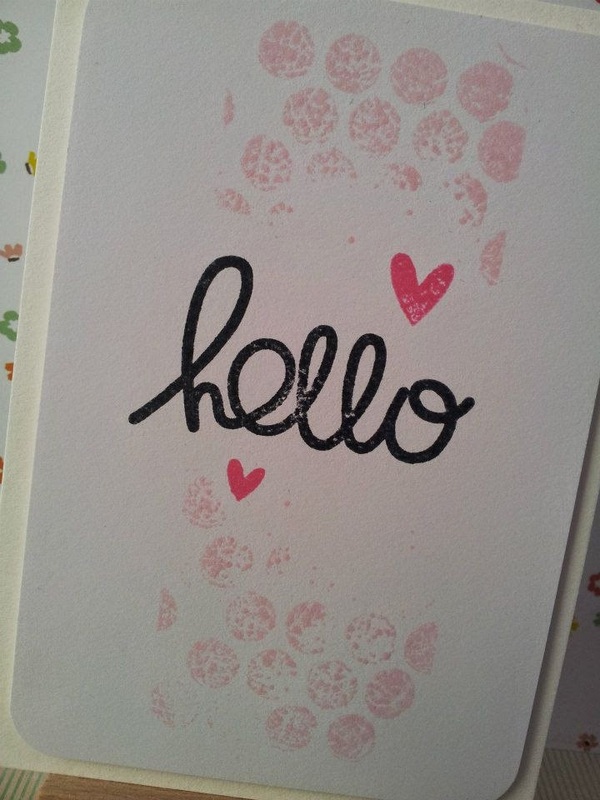 Today I'm sharing a 'Hello' card with you. I literally tried to make this card as CAS (Casual and Simple) as possible and it turned out great. I thought the minimalist look would make the design look waaaaay simple, but it hasn't which is great. Less is more in this case! I love the way the card turned out and I'll most likely make a few more of those to pop in the post! Hope you guys like this post and hope you all have a creative week.